The awe in your mind as your approach the Southern Sierra region on Hwy. 395. 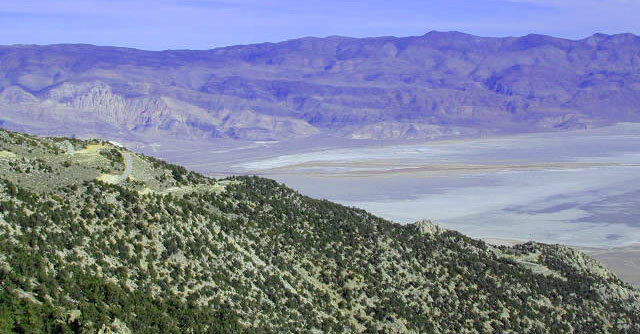 Towering granite mountains line the northern Mojave Desert. 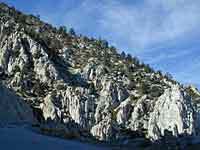 Just east of Olancha & Lone Pine, you can access these rugged canyons via several small roads. Forest Service Rd # 20S01 to Sage Flat just south of Olancha leads thru private property but ends up at an excellent trailhead called Sage Flat. The dirt road # 19S01, also leads up the mountains in this region & directly leads into the Inyo National Forest. Another great road is Horseshoe Meadows Road. 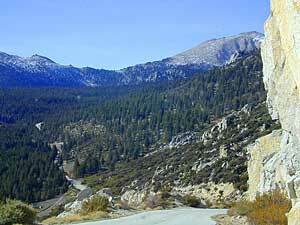 Just south off the Whitney Portal Rd, this small winding roads climbs southwest to a lovely pine filled valley. This drive up is worth it just for the views alone. 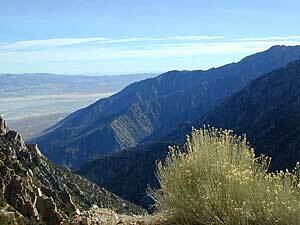 Look over the Owens Valley from 6000', with a sheer granite cliff - without any guard rails. Stop the car and get out for photos. It's better that way. This road is closed almost half the year due to snowfall, so call ahead to Rangers to find out if it's open. Many horse trailers back and forth on this steep grade, so use caution at all times. NOTE: One night LIMIT on these campgrounds!! Great destination for those wishing to backpack or day hike into the high altitude Sierras: John Muir Wilderness, Cottonwood Lakes, New Army Pass, Mount Whitney (the southern access route). This road accesses camping, with peaks above 10,000' and forest and trails at 9400' elevation. This is also a big horse destination, so watch for trucks pulling trailers. Several pack outfits lead out of these campgrounds. A good map of back roads is advised. NFS Inyo National Forest map is a decent one that shows all you'll need for outdoor recreation, dirt roads and camping options.